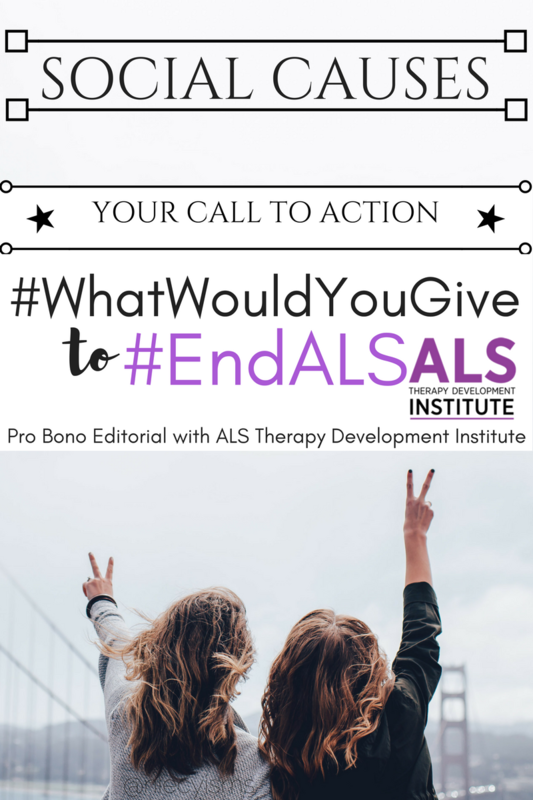 Your Call to Action- What Would You Give to End ALS? Social causes are an essential part of the very fabric of my being. It is a special occasion to have the privilege of teaming up with the ALS Therapy Development Institute (ALS TDI), a non-profit organization 100% committed to finding a treatment and cure for ALS. We are working together to raise awareness of ALS, as well as raise much needed funds for advanced medical research. 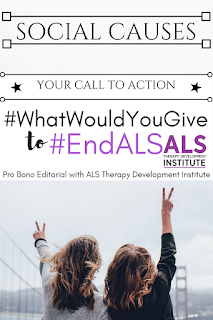 Through the Linqia network, we have partnered pro bono with ALS TDI in support of #WhatWouldYouGive, a national awareness and fundraising campaign initialtive challenging us to give up an ability to understand what life with ALS might be like for us. This is a pro bono social cause editorial in support of the ALS Therapy Development Institute through Linqia. Amyotrophic lateral sclerosis, (ALS), also known as Lou Gehrig's disease, Charcot's disease, is a progressive disease affecting nerve cells in the brain and spinal cord controlling voluntary muscle movement. Commonly found in people diagnosed with ALS, motor neurons begin to deteriorate resulting in muscle weakness and paralysis. What are Signs and Symptoms of ALS? What Treatments are Available for People Diagnosed with ALS? On average, most people with ALS live 2-5 years after first evidence of disease. An estimated 10% of people with living with ALS will survive for at least 10 years. At this time, Riluzole (marketed as Rilutek), and Edaravone (marketed as Radicava), are the FDA-approved treatments available for specifically treating ALS. Sadly, there is a significant unmet medical funding need for effective treatments for ALS. Support is needed! There are many ways we can help raise money and awareness for ALS research and drug development with the ALS Therapy Development Institute. You can gather family and friends to host or attend an event, advocate on social media, or participate in an in-person meeting. Working together to raise awareness and money to #EndALS requires your help. 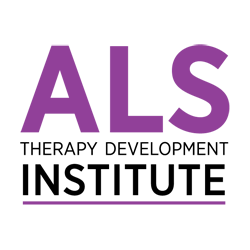 Learn more about ALS by visiting the ALS Therapy Development Institute to get involved today!